With the emergence of online shopping, counterfeit and fraud have become trillion dollar problems and have resulted in the loss of 800,000 jobs annually. These issues are detrimental to a brand’s value and costly for unsuspecting consumers. Counterfeiting is a relentless issue within the fashion world and appears to be getting worse each year. The ability to add verifiable information about the origin and identity of an item to the blockchain will allow consumers to find out if the product they are purchasing is authentic, even if it’s purchased second-hand. This is easy to achieve as many designer products already come with unique serial numbers that can be recorded on a ledger. Bonafi is one example of a blockchain initiative that aims to fight the counterfeiting crisis by authenticating items with a ‘crypto tag,’ which logs an item’s history. This will ensure that consumers can trace the origin of the product without needing to rely on a brand, retailer, or seller’s word or reputation. For designers of luxury goods, the importance of tracking a product’s lifecycle should not be understated. Arianee, a blockchain solution for certification and authenticity, offers brands the ability to register products on the blockchain while consumers can register their purchases. This is applicable not only to clothes and handbags but fine wines, watches, and other luxury items. Events related to an item, such as cleaning or repairs, can also be logged, increasing the value of the product if it is ever resold. Consumers will be incentivized to record these events on the platform through a token reward system, and those tokens can be used to pay for products and services from partners in the network. Blockchain can also be used to track changes in ownership. If an item changes hands — for example, if it is gifted or sold as second-hand — that event could be added to its unique blockchain profile. This information is highly valuable for brands in order to better understand who is using their products, helping them tailor their marketing efforts and improve customer-brand communication. With initiatives like Loomia, the clothes themselves can be used to collect and send data, further enhancing the way brands interact with their customers while again rewarding consumers with tokens for engagement. Blockchain implementation will be able to speed up and secure financial transactions between parties at various stages of the supply chain. Blockchain can simplify and ensure secure payments on a large scale, without the need for trust between parties. Initiatives like Lukso use blockchain technology to authenticate items and rebuild trust between brands and consumers, but also as a means to facilitate payments through crypto. As the public becomes increasingly aware of the underlying ethical issues surrounding their clothes, blockchain technology will allow for manufacturers and designers to address these problems in a sophisticated way, rather than shying away from them. This will also serve to motivate brands to be more conscious of their manufacturing practices. Most of us have become aware of the horrid conditions in which people work and the way materials are sourced to fuel the world of fast fashion. Aside from the dangerous conditions of textile workers, there are also many controversies surrounding fur and wool farms, leather and silk production, and pollution. Blockchain would enable brands to verifiably demonstrate who is making their products, for how much, what materials are being used, and where those materials were sourced. As proving ethical practices in fashion becomes a value-add, blockchain will become essential for any high-end brand. While fashion was once simply a means for self-expression and creativity, this has been overshadowed in recent years by the controversies lurking beneath the surface. 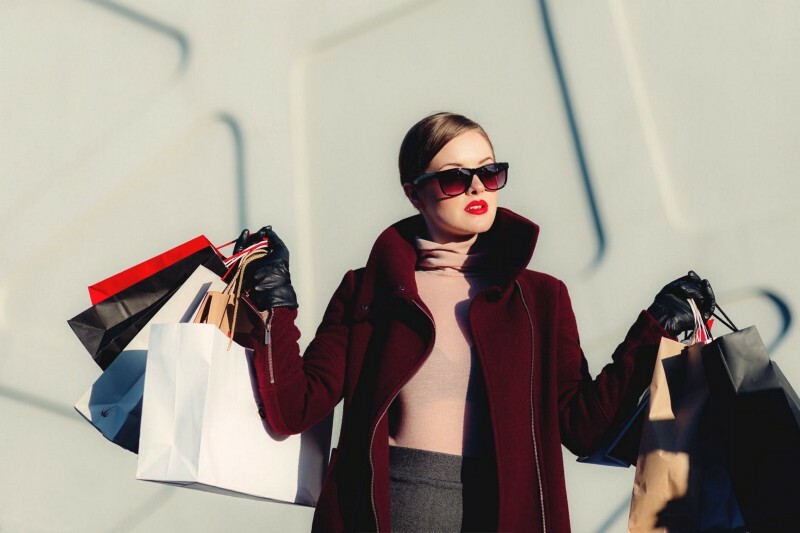 By addressing these issues and enhancing the way the fashion supply chain operates, blockchain will allow people to enjoy fashion again while knowing it contributes to society through inspiration and example, rather than mere status. As the fashion industry grows, so do its problems. Over the last few decades the internet and social media have changed the way we interact with fashion, making it more accessible and, thankfully, more transparent. It’s now time for the industry to embrace Web 3.0. If designers and companies believe they can continue their business in an unethical, inefficient, or outdated manner, I do not expect them to survive much longer. If they can acknowledge their faults and make strides toward improvement, I am confident that we will see a rise both in ethical fashion and more innovative ideas as the industry becomes more secure, accessible, and beneficial for people in all regions of the world. Previous articleWhat is China’s Role in the Future of Blockchain & Crypto? Next articleIs Blockchain the Cure for the Ailing Healthcare Industry?